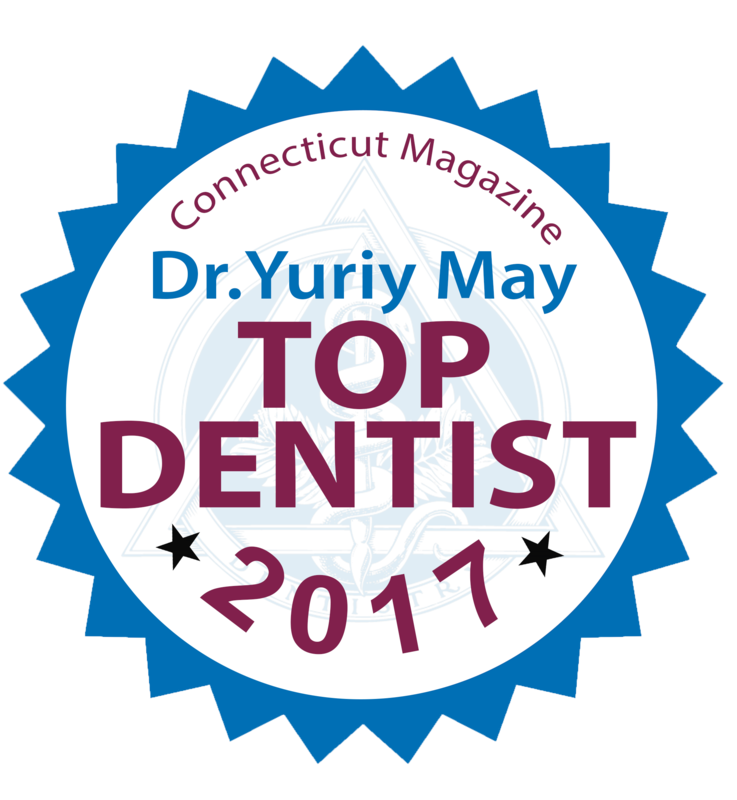 After many years providing remarkable medical and biological dentistry and cosmetic dentistry changing the life of patients day to day, Dr. Yuriy May has exploded on the scene of Connecticut Dentistry & Medicine has has been awarded remarkable accolades this year! 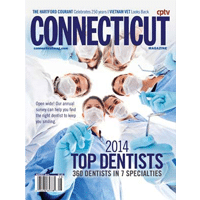 Its is with humility and gratitude that Dr. May accepts this generous honor, as the youngest best dentist in CT to ever receive such an extraordinary award. 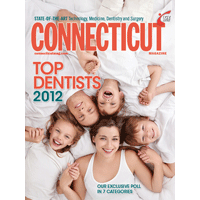 Its no wonder that Dr. Yuriy May has won the Best Dentist Connecticut award from Connecticut Magazine in 2017, based on the amount of lives he’s transformed and smiles he’s created. 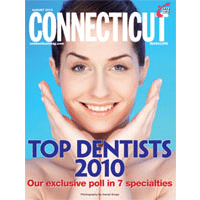 Lets start with a few key points of differentiation that clearly set Dr. Yuriy May apart from all other dentist in Connecticut and across the country. 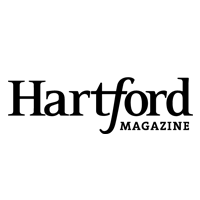 Providing the opportunity to facilitate the miracles associated with the use of the ALF has become a coveted skill that many want to learn but are often intimidated by the amount of training necessary to become comfortable with providing ALF therapy. The use of the ALF is dynamic and integrative. 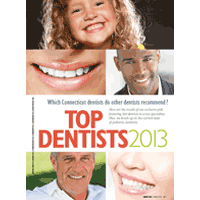 It is not a cookbook recipe and his teaching style emphasizes understanding the foundational principles of why the “wire” works and not simply how to bend the appliance to create a linear outcome as in traditional orthodontic techniques.Dr. Yuriy May began the use the Advanced Lightwire Functional Appliance in 2016, after thousands of hours spent on studying to most advanced treatments for facial and cranial anomalies and neurological disorders in children and adults. By bringing the A.L.F. 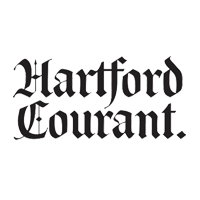 Appliance Therapy to Connecticut Dr. May has created opportunities for understanding the ALF Therapy concept, ALF Treatment philosophy and use of the ALF Appliance for parents and children across the state of Connecticut. As the creative and clinical genius behind the Advanced Lightwire Functional Appliance application guide to ALF treatment focusing on children with congenital abnormalities, Autism, Down Syndrome, ADHD, jaw malformation, tissue ties, lyme disease and other chronic disorders affecting both physiology, neurology and autonomic nervous system disregulation, Dr. May has hands down become the primary ALF Appliance Dentist and Specialist across Connecticut, New York, Massachusetts, Rhode Island and New Jersey. 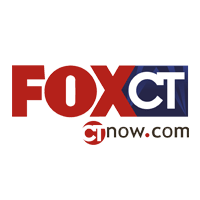 Dr. Yuriy May delivers exceptional life-changing health education and craniofacial teachings to Connecticut patients and concerned parents seeking solutions, in order help empower them with whole new level of understanding the far reaching clinical possibilities ALF. 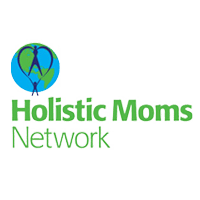 Dr. May’s philosophy is to work with patients and parents side by side to co-discover the possibilities the individual miracles that the Advanced Lightwire Functional Appliance can deliver and help extrapolate the differences between illness and wellness, for themselves and their children whom are susceptible to neurological challenges. 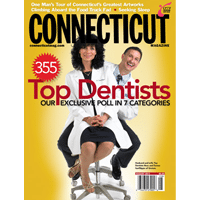 Understanding the difference between zirconia dental implants and titanium dental implants has been one of the most important life changing dental services Dr. Yuriy May has pioneered in Connecticut Dentistry. 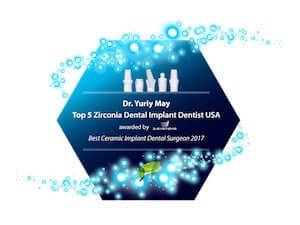 While Ceramic Dental Implants have been utilized with utmost safety, durability and effectiveness for over 50 years, however, in the USA zirconia implants were only approved 20 years ago. 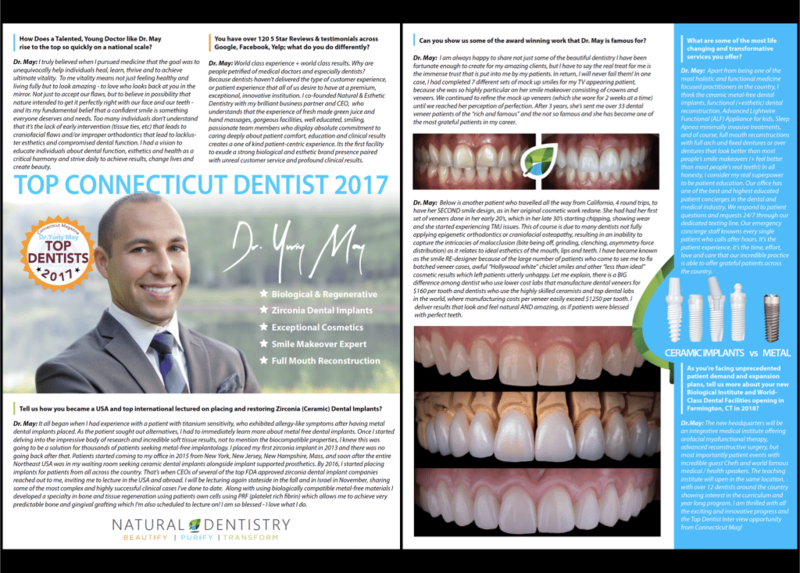 This means there are less than 0.2% of total number of dentists in the USA offering the metal-free ceramic dental implants sought after by over 4 million individuals each year. 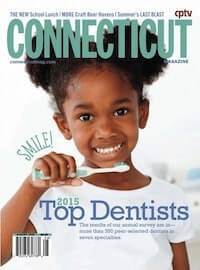 Year after year and thousands of dental implants later, Dr. Yuriy May is the Top Ceramic Dental Implant Dentist in Connecticut and is opening the Metal-Free Dental Implant Center in January 2018 which will see over 25,000 ceramic dental patients annually and is on pace to place over a million metal-free zirconia dental implants. What does that mean? 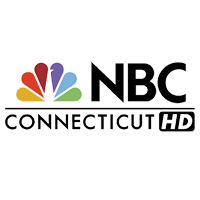 That means that Dr. Yuriy May has more experience in the placement and restoration of ceramic dental implants that any other surgeon or dentist anywhere, including Connecticut. 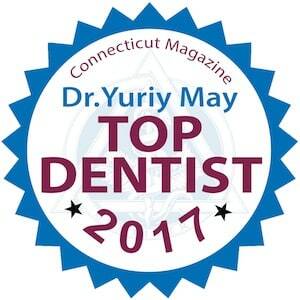 As one of the most educated top dentists in the USA Dr. Yuriy May has advanced degrees from multiple universities and integrative medical schools, and was a Top Scholar from one of the Top 10 Dental Schools in the USA with a speciality in craniofacial dentistry, surgical dentistry and dental implants, and of course, incredible esthetic smile design and full mouth reconstruction.